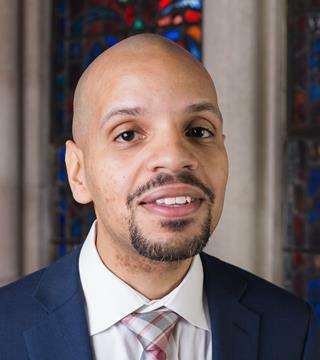 [Episcopal Church Office of Public Affairs] Darvin Darling has been named the Episcopal Church Director of Information Technology, a member of the Presiding Bishop’s staff. In his new position, Darling will report to the Chief Operating Officer and will be responsible for all the information technology operations for the Episcopal Church Center and the staff located in NYC and remotely. Darling is a native of Brooklyn, NY, and at age 15 he began designing computer systems and programs for his high school robotics competitions at Brooklyn Technical High School. Most recently Darling was the Director of Information Technology and Technical Services at The Riverside Church in NYC. In this role, Darling was charged with providing the design, implementation, rollout, training and support of all technology systems and technical teams, including live event and post-production of audio, video and lighting. In his spare time Darling volunteers helping many small not-for-profits embrace the cloud and open source for infrastructure. He is a graduate of the New Jersey Institute of Technology with degrees in Computer Engineering and Industrial Engineering. He begins his new position on September 18. Darling’s office will be located at the Episcopal Church Center in New York City; as of September 18, he can be reached at ddarling@episcopalchurch.org.